Kinder+ Sport EFL Kids Cup, sponsored by B&B vehicles, is a success!! 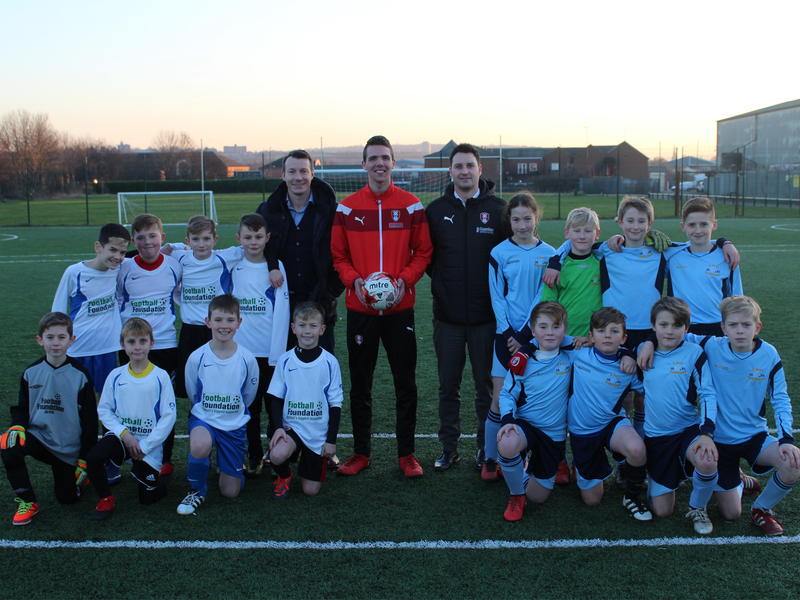 Through January, RUCST hosted their annual local round of the Kinder+ Sport EFL Kids Cup, which this year was split over two venues, Kiveton Community Sport Park & Sheffield Hallam University Sport Park. 18 schools from across the borough took part over the 2 venues, the first local tournament took part at Kiveton where Wales Primary School & Anston Park Junior School battled their way to a final, which Anston won 3-2 to progress to the local grand final. Then came the north leg of the competition at SHU Sports Park, where the competition was tight and there were a few contenders competing for the chance to take on Anston Park. The local north round came down to St. Mary’s Catholic Primary School, of Herringthorpe & Thornhill Primary School, which was a tightly contested affair, but eventually one goal settled it, and the goal came from St. Mary’s. This set up the Local Grand Final at Parkgate Astro, St. Mary’s vs Anston Park, for a chance to represent Rotherham United at the regional finals of the national competition. Despite St. Mary’s creating many chances, Anston Park ran out 5-1 winners, and will take the next step towards Wembley, where they will have to get past the representatives of Newcastle United, Barnsley, Sheffield Wednesday, Sheffield United & Leeds United to name a few. We would like to thank every school for taking part in the competition, and we would also like to thank the players for the impeccable manner in which they represented their respective schools.